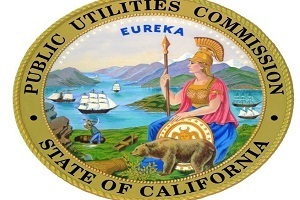 California Public Utilities Commission issued the following announcement on July 12. The California Public Utilities Commission (CPUC) today reaffirmed its commitment to transforming the state’s energy future by authorizing Southern California Edison (SCE) to recover in customer rates the cost of contracts for innovative clean energy resources to offset the need for new natural gas generation. The CPUC approved SCE cost recovery for 19 contracts totaling 125 megawatts of preferred resources, including distributed energy resources, such as energy storage. SCE first began its Preferred Resources Pilot Request for Offers following the unexpected retirement of the San Onofre Nuclear Generating Station and anticipated closure of Once Thru Cooled plants, which represented 7,000 megawatts of generation critical to system and local reliability. Today’s decision is the second made under the Preferred Resources Pilot. Today’s decision finds that distributed energy resources can be used to offset localized load growth, and that SCE’s Preferred Resources Pilot will help determine to what extent an integrated portfolio of preferred resources deployed at a high concentration can operate just as reliably as a traditional gas-fired power plant and meet future customer needs in a clean manner. Want to get notified whenever we write about California Public Utilities Commission ? Next time we write about California Public Utilities Commission, we'll email you a link to the story. You may edit your settings or unsubscribe at any time.